So, what happened? Well… technology inevitably improved and manufacturers kept up with the times. Men, on the other hand? They still love a Ferrari key fob to complement their Honda Civic, and if you look closely, the stripes have just been replaced by LED running lights, the flashiest of alloys, and a stainless steel gearstick knob. But what if your fella takes the bus to work on a Monday morning? What if he can’t just jump in his S-Class (with its top speed of 155mph), cruising down the motorway trying to avoid the lure of Starbucks at each service station he passes. What about him huh? Spare a thought. 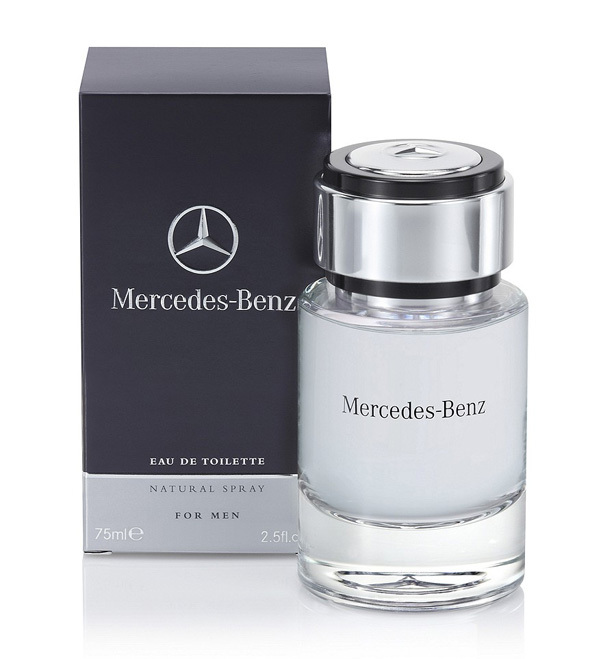 Or maybe spare a few pennies instead and indulge his taste for all things automotive with the latest fragrance from Mercedes-Benz. The company’s first foray into the world of fragrance promises a fresh, yet refined olfactory experience combining: bergamot and mandarin with a heart of violet, an aquatic freshness from the cascalone molecule (think GA’s Acqua di Gio) with spices including bourbon pepper, nutmeg and galbanum, before descending into the tried-and-tested woody base note mix. This isn’t a review, I haven’t sniffed at the bottle…. consider this a friendly heads up. For the man who has everything. Except a driving license. Nopes, it’s not! That must be brilliant, sharing a sporting interest like that. I used to have a season ticket with Southampton FC but I got priced out of it when I started uni… always carry an interest but inaccessability killed it a bit for me. Mr. L still loves his football. I’m going have to check this out. I didn’t even know this cologne even existed. It might be the closest thing to a Mercedes that my husband is going to get right now.